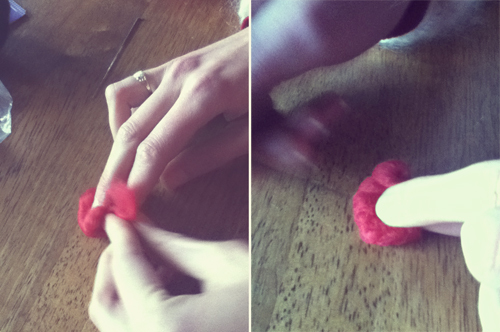 Step 1: Take fluffy stuff (wool) and make a pile, folding in top and sides until you get a ball like shape. 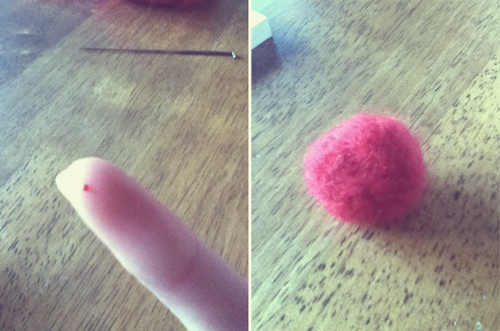 Step 4: Take felted ball and roll it between palms to make it round ... then flatten so it's got a flat bottom. At this stage you will probably work out that you didn't do the first 2 steps that well, and ignored step 3 and need to stab the ball a lot more times. Step 6: Take small amounts of black stuff and add in a line on the middle of red body, then add some dots. These can be placed where ever you like... probably on top of the body and not on the head. Step 7: Figure out something for the eyes and test it with pins before sewing. 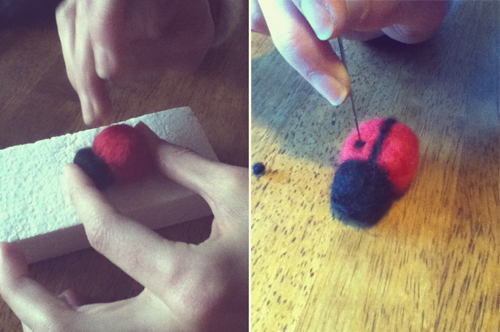 Or you can leave this pins as they make a lovely alien version of the ladybug... Pair with smaller ladybug... then wait for little baby ladybugs. 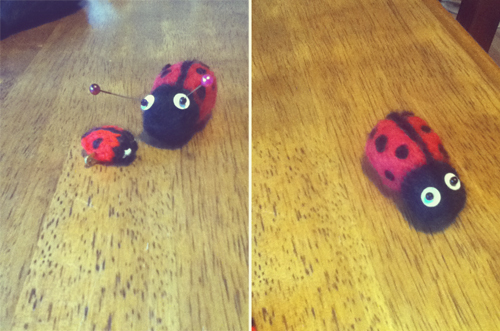 Step 8: Sew on eyes if you think the pins are a little dangerous and you want a regular ladybug rather than the alien variety. Please note, this tutorial is not really to be taken seriously... ok? 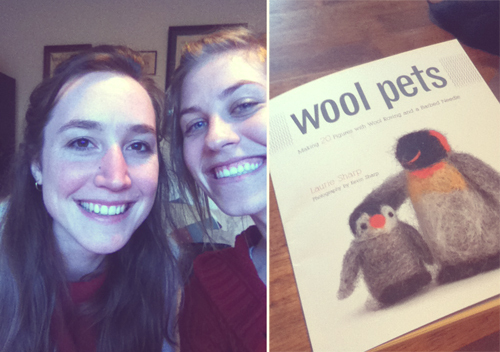 But you could buy the book coz there are a lot of cute things in it! 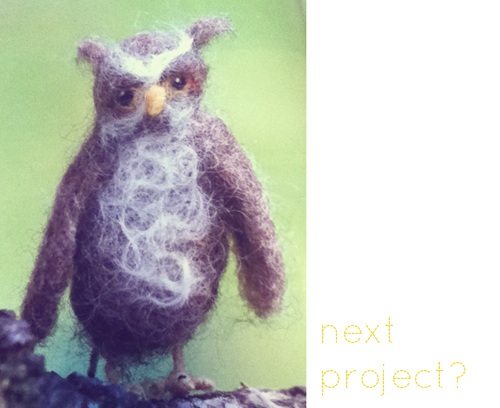 Just watch your fingers...... and don't give up, the felting process takes time.